WILMINGTON — Accused kidnapper Dennis Dunn was found guilty of three of five kidnapping and felony counts by a Clinton County judge. 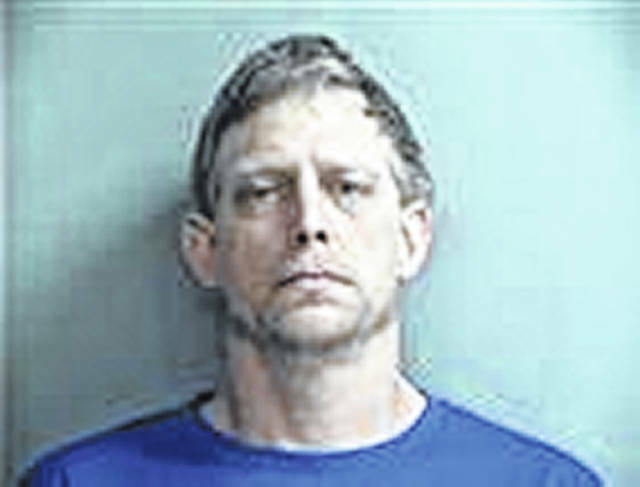 In a two-day bench trial that concluded early Tuesday afternoon, Common Pleas Court Judge John W. “Tim” Rudduck declared Dennis Dunn, 47, of Blanchester guilty of one count of felony 1 kidnapping and two counts of felony 3 abduction for the April 26, 2017 incident in Blanchester. He was found not guilty on the second felony 1 kidnapping and a third felony 3 abduction charge; both were dismissed because these charges indicate the crime was sexually motivated, which Rudduck believed wasn’t a factor. Dunn was remanded to the Clinton County Jail until his sentencing on April 19. Hartke also cited a distrust Dunn had with police and a belief that they were involved with a supposed Satanic cult and prostitution ring that the victim, Jennifer Elliott, was forced to be a part of. He also cited the medical reports indicating she had no physical wounds from the date of the incident. “I find it very strange that there were no defensive wounds. Nothing unique about her physical examination. No bruises, no cuts … no lacerations. She thought she was going to be killed. Obviously, the first reaction would be to fight like crazy … that did not occur,” he said. Prosecutor Andrew McCoy, during his rebuttal, said Elliott “did not get that hole voluntarily”, citing she wouldn’t have left her eight-year-old son and medically disabled father all alone that late at night. “There are much easier ways for someone to escape rather than being stuck underneath the floorboard of a shed,” said McCoy, in regards to Dunn’s claim he was helping her escape. McCoy mentioned how Elliott could have died if she remained in that hole from her epileptic seizure if she was not treated. The state acknowledged that Dunn may suffer from mental illness but cited that didn’t mean he didn’t know what he did was wrong. Both Dunn and Elliott testified on the first day of a bench trial on Monday. Elliott was reported missing by her mother, Rowe, at 1:30 a.m. April 26, 2017, after she arrived home from work and couldn’t find her.